Today's complex social and economic problems leave many people in the affluent world feeling either overwhelmed or ambivalent. Even the small percentage of us who have examined the ethics behind our financial decisions and overcome the often-deterring factors of self-interest rarely know what to do to make any difference. 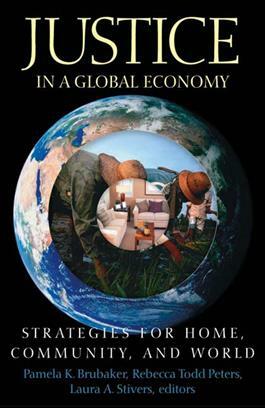 By providing tools for examination and concrete actions for individuals, communities, and society at large, Justice in a Global Economy guides its readers through many of today's complex societal issues, including land use, immigration, corporate accountability, and environmental and economic justice. Beginning with a basic introduction to the impact of economic globalization, the book provides both critical assessments of the current political-economic structures and examples of people and communities who are actively working to transform society. Each chapter concludes with questions for discussion and reflection.